When it comes to having a wedding in the Seattle area, there’s a lot to consider. Tons, in fact. So, I wanted to break it down into 10 tips for an awesome Seattle wedding. After all, I have a been to hundreds of weddings as a Seattle wedding photographer, and I’ve seen nearly everything you can imagine from behind the lens. So, let’s get to it. Let’s talk about the top 10 tips to have the best possible Seattle wedding so you can avoid the potential headaches. Commonly overlooked, but logistics can be a potential nightmare for any Seattle wedding – especially if you have a large wedding party. I’ve seen many brides stressed out on their wedding day because they wanted to save a bit of money and have a relative or two drive the group around. I don’t recommend you do this. Instead, get a professional transportation company. Get a party bus or limousine. (A party bus is easier, more spacious, and has more room for you, your friends, and your stuff). When you hire the right pro-transportation company, you are taken care of. That said, and now that you have that party bus, plan for traffic, plan for sports games, and plan for parking to be a nightmare. So, get a party bus operator that is okay with dropping you off at your portrait location, parking somewhere else, then being called from your bridesmaid/groomsmen when you are ready to be picked up again. When you are planning out your timeline for your Seattle wedding, put in a bit of buffer time in case things go late. Things as simple as your hair & makeup artist running late because they couldn’t find parking, got stuck in construction traffic, or any other reason… if they are late, your whole day is late. Put in some buffer time. I’ve seen more urban weddings start late more than any other style of wedding.Also as a note here in the timing tip, if you are wanting to reduce the stress on your wedding day as much as possible, please please please have a first look. It makes for a much smoother day, and you aren’t feeling rushed after you get married. And if you are having an outdoor ceremony (like at Admirals House), please avoid having your ceremony time too early in the day so you can avoid that harsh overhead light. Many wedding venues offer coordinators, but in my experience over 10 years, there is a big difference between a venue coordinator and a day of coordinator. 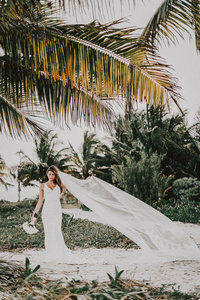 In my experience, a venue coordinator is looking after their own best interests – making sure the venue is looking great, the decor is beautiful (making the venue look better), the staff are doing their jobs, and the bride has a few basic questions answered. That said, a dedicated coordinator/planner is much more hands on to the bride, getting all questions answered, helping ensure timing is as close to spot on as possible, prepping everything, and ensuring it all gets done with all the different moving parts with all the different vendors. 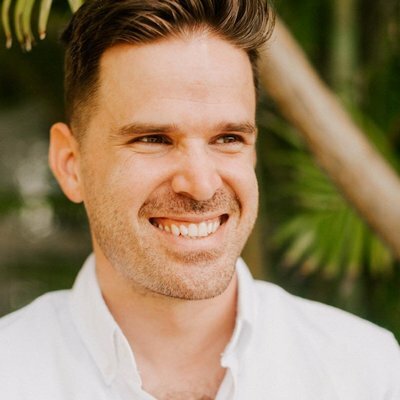 In my experience as well, a venue coordinator does not help as much with your timeline as does a dedicated third-party day of coordinator/planner. Please do yourself a favor (and a favor to every other vendor who you hire) by hiring a professional day-of wedding coordinator, month of coordinator, partial planner, or full planner. They are a life saver. If you are in the early stages of planning your Seattle wedding, I have created a resource just for you. Check out what I personally believe are the top 10 wedding venues in Seattle here: https://lumaweddings.com/best-seattle-wedding-venues-top-10. If you are hiring a photographer based on their style of light & airy photos, but your venue is dark, make sure you do research on how their style is indoors in closed-off spaces. After all, many wedding venues in Seattle have very few windows. A few: Sodo Park, Within Sodo, Melrose Market, Court in the Square, Fairmont Olympic, Sorrento Hotel, Arctic Club, etc. Yes, a couple of these have big windows on one side, but that’s it. Just one side. Others have zero windows at all. Do your due diligence and don’t just book somebody based on what you see on their main portfolios if you are having an indoors wedding. Going more into about doing your due diligence, make sure you do site visits of the venues you are wanting to do, and ask the right questions to the vendors you are interested in hiring. 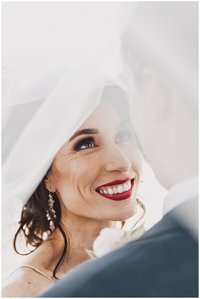 It’s very easy to take a beautiful photo of a venue or of a couple in the right lighting situations, but once you start tossing in all the different moving parts to a wedding day and the speed of which everything happens during an urban wedding, having people on your side who have experience is incredibly valuable. Don’t just hire the first person you see with a nice style and a low rate. There’s a reason their rate is low. Showing something on Instagram versus real life are two totally different things. In Seattle, there’s honestly not very many great places for wedding photos, in my humble opinion. There’s Pioneer Square (Occidental Square to be exact), Pier 66, parts of the Olympic Sculpture Park (but only parts)… and now I am already coming up short with other awesome locations that work well for nearly every wedding size, big or small. Those two are pretty much it. Pike Place Market is too crowded, the Ferris Wheel honestly doesnt photograph well, Alki isnt at the right angle for the best lighting, the outside of the library is good for small parties but not large, rooftop parking garages are good, but not great since they are unreliable, Gasworks is too crowded and sometimes booked up for events and even private parties and elopements, Ballard locks is too crowded and parking is a nightmare, Golden Gardens is crowded and parking is a nightmare, Volunteer Park doesnt photograph that great, the Conservatory is no longer allowing wedding photo sessions without a permit, etc. So, I recommend 2 and a half locations. That said, it totally depends on your venue and the vibe you’re wanting, too. Sodo Park has a couple areas that are decent, Admirals House is nice, but otherwise — getting a party bus is going to be your best best to head to one of these locations for your portraits. So, we can’t leave this 10 Tips list without talking about the weather in the PNW. And here’s what I have to say super briefly. If your day is calling for a chance of rain, plan for it. Get clear umbrellas (not black, not multi color), and use those. You only need half the number of umbrellas as you do in your wedding party. So, 4 groomsmen, 4 bridesmaids, and a couple equals 10 people. So, you would need 5 clear umbrellas (each duo shares). That said, I have photographed MANY weddings in the rain, many portrait sessions in the rain. And if you pick Seattle, come prepared with a backup plan for a rainy portrait idea. Your options are going to depend heavily on the size of your wedding party. But basically, you have two options: Go out in the rain with or without umbrellas and just embrace it, orrrrrrr…. find a covered area like an awning, a bridge, or something similar. Either way, my two cents: just own it. It’s gorgeous. You wear your wedding dress once. You have wedding photos once. Make it the best day possible. Attitude is everything. After having photographed Seattle weddings for many years now, I can say one thing with absolute certainty. Seattle weddings are more exhausting, stressful, and more difficult to manage than a rural counterpart. So, if you are planning a Seattle wedding, just know that it is incredibly important to have the right team on your side that has experience. I hope all of that really helped you figure some things out if you are planning on having a Seattle wedding. And if you’re going to make it happen, you know I would absolutely love to be your Seattle wedding photographer. Let’s chat all the details! Use the contact form on my website! WOOHOO!